This common injury occurs when the tendons of the rotator cuff become overused and injured. The subsequent pain and swelling reduces the shoulder mobility leading to impingement. The tendons of the rotator cuff slide between the clavicle and the humerous in the shoulder joint. When the tendons are inflamed or damaged this slide is no longer smooth and the friction causes pain and compression of the tendon leading to pain. HOW DOES SHOULDER IMPINGEMENT OCCUR? While the rotator cuff muscles are involved in moving the arm, they are also essential to stabilizing the top of the humerous in the joint socket during activity. If these muscles become weak the humerous can drift out and put the tendons in a compromised position. Imbalance between the strength of the chest and the strength of the upper back can also lead to the shoulder being poorly aligned in the joint socket. This again leads to extra wear and tear on the tendon. HOW CAN ACUPUNCTURE HELP SHOULDER IMPINGEMENT? At Inner Gate Acupuncture your acupuncturist will perform a full evaluation of your body and of the shoulder joint. Properly identifying the main causes of the shoulder impingement, we determine the best course of treatment. Treatment focuses on calming the inflamed tissue, creating space for proper tendon glide and rebalancing the shoulder, back and chest muscles. Acupuncture can relieve shortened muscle, active weak muscles and relieve inflammation locally. Manual therapy, cupping and tuina massage are often also used to deepen and improved the treatment. The shoulder is one of the most mobile joints of the human body. It’s superior range of motion makes it one of the most complex joints in the body. Unfortunately, it is also one of the most commonly injured joints in the body. Symptoms of shoulder pain include achiness, dullness of heaviness in the shoulder, weakness of the arm and hand and limited range of motion. WHERE DOES MY SHOULDER PAIN COME FROM? Shoulder pain can be caused by direct injury, or gradual irritation. Direct injury occurs often during falls when you try to break you fall with your arm, or falling from a bike onto the shoulder. Gradual irritation and repetitive strain are more common causes of shoulder pain. These occur often in athletes especially those who perform overhead sports like swimming and tennis. But irritation and pain can occur simply from poor posture, and bad work stations. WHY IS PROMPT TREATMENT IMPORTANT? Being proactive and getting treatment soon after shoulder pain begins can speed recovery and lessen the likelihood of the condition worsening. Our staff can rule out major issue and best guide you in how to care for your shoulder at home. By preventing long term compensation patterns early treatment will keep the problem from affecting other connecting body parts like the neck and low back. Acupuncture can reach into the deep muscles of the rotator cuff opening up space for the free movement of tendons and muscles. In fact, 66% of shoulder problem are estimated to be due to rotator cuff issues. Using both acupuncture and dry needling techniques your acupuncturists her at Inner Gate Acupuncture can treat the muscles and fascia of the rotator cuff and the shoulder to effectively bring relief to damaged shoulders. Jumper's knee is a condition medically know as patellar tendonitis. It is an overuse injury that results in pain at the front of the knee just below the knee cap. Repetitive strain from either running or jumping causes inflammation of the patella tendon. The patella tendon can also be damaged by heavy strain such as hiking in mountains or too many deep squats. Jumper's knee if left untreated can become a persistent problem leading to degeneration of the tissue around the knee. What Causes Jumper's Knee or Patellar Tendinitis? Patellar tendinopathy or tendonitis is typically caused by over use and strain. This is a common injury for athletes while training for big runs. It can often occur after strenuous hikes without proper stretching and conditioning. Having overly tight quads also contributes to this condition. How Can Acupuncture Help With Jumper's Knee? The most important first step is accurate diagnosis. Your acupuncturist will first assess the kneecap and muscles of the leg. Proper orthopedic testing can rule out other possible causes of knee pain including; meniscus tear, ACL or MCL injury, patellar femoral syndrome, or IT band syndrome. Once the cause of the pain is isolated a treatment plan will be constructed to directly and uniquely address your knee pain. The treatment's primary focus involves relaxation of the quadriceps muscles. These muscles form from the bulk of the patellar tendon as it crosses over the knee cap. Tension and shortness in this tissue will directly affect the tendon. Acupuncture and manual therapy techniques can also be applied directly to the tendon itself. Increasing blood flow to the patellar tendon will result in quick and complete healing. We also teach proper stretching of the quadriceps tendon and home strengthening exercises to address the imbalance in the leg and the hip. Carpal Tunnel syndrome is one of the most common wrist issues treated in our clinic. It is estimated that 1 in 40 people have this condition, with over 8 million people diagnosed with carpal tunnel every year. Women are twice as likely to be diagnosed with carpal tunnel as men. The carpal tunnel is the region of the wrist where the median nerve and the tendons of the finger flexors enter the hand. The tunnel is formed by dense connective tissue and the carpal bones. Carpal tunnel occurs when the tissues of the carpal tunnel become compressed and put pressure on the nerves and blood vessels passing through the tunnel. Pain is typically experienced as nerve pain in the the hand, fingers and in the wrist. Carpal tunnel is often associated with overuse of computer mouses and keyboards. In fact, any repetitive and sustained activity that causes compression of the wrist can cause carpal tunnel syndrome. What Are Carpal Tunnel Symptoms? The symptoms of carpal tunnel syndrome typically affect the wrist and the hand. Nerve pain, numbness, aching or sharp pain are all common symptoms. Due to the nerve compression there may be burning sensations and muscle weakness. Accurate diagnosis will determine if your symptoms are due to carpal tunnel syndrome or something else such as wrist tendonitis. How Does Acupuncture Help Carpal Tunnel Pain? Your acupuncturist will conduct a complete assessment of your arm, wrist, hand, shoulder and neck. After assessing your range of motion and strength they will perform hands-on orthopedic tests and palpation to differentiate carpal tunnel syndrome from wrist tendonitis or radicular pain coming from the neck. After accurately determining what is causing your pain your acupuncturist will construct a treatment plan designed specifically for your condition. Hands-on techniques to mobilize the bones of the carpal tunnel and free space for the nerve. Acupuncture through the carpal tunnel to release tight tissue, reduce pain locally and activate weakened and inactive muscles. Advice and help with correct posture and work ergonomics that reduce the recurrence of pain. Strengthening and stretching exercises for home care. The great strength of acupuncture in treating Pelvic Floor Dysfunction and pain is our ability to directly access the muscles of the pelvic floor. Call us. What is Eccentric vs. Concentric Muscle Contraction? Concentric Contraction: Concentric contraction occurs when a muscle is activated and begins to shorten against a load. The raising of a weight during a biceps curl is a concentric contraction. Eccentric Contraction: Eccentric contractions occur when the muscle is lengthening during contraction. The lowering of the weight slowly during a biceps curl is an eccentric contraction. Eccentric contractions occur constantly throughout the activities of daily living. During movements such as walking the quad muscles stabilize and control the frame of the body while they are actively contracting and lengthening. Sports Medicine research has shown that eccentric contracts are better at building muscle mass, strengthening and repairing connective tissue including tendons and ligaments. There is evidence that eccentric contractions even help increase flexibility. For minor injuries and tendonitis conditions your practitioner may prescribe eccentric exercises as a home care therapy. The practitioner will explain the exercise carefully in order to fully take advantage of the eccentric phase of contraction. Moving very slowly and controlled during the contraction is essential to maximizing the benefit of the exercise. Moving too quickly or using too heavy a weight can actually damage the tissue. Back to school means it time to boost everyone's immune system. As cooler weather encroaches we are all forced to spend more time indoors with other people, often with closed windows and poorly circulated air. These are conditions that expose us to more bacteria and viruses than any of us would like. Here are a few practical ways for us to prevent those bacteria and viruses from getting us sick. These methods are simple but they may prove more difficult to practice than you think. Washing hands regularly: Just using a simple soap to clean the hands a few times per day can greatly diminish our exposure to viruses and bacteria. Keep your fingers and hands off your face and mouth: It is estimated that people touch their faces hundreds of times per day! Much of this touching is habitual and unconscious. If we focus carefully we can break this habit and reduce our exposure to the bugs that make us ill.
Click Here for a link to a video that shows the most effective way to wash hands with soap and water. 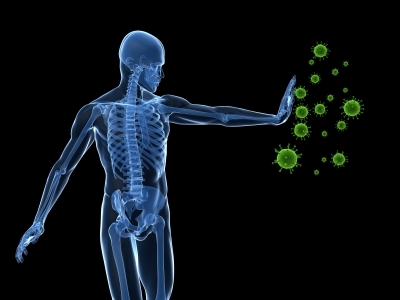 Chinese medicine has several powerful approaches to maintaining a healthy immune system. These time tested ideas can add potent weapons to your germ busting arsenal. Yin Qiao San: This ancient formula has many modern day equivalents. It serves as the base for Wellness formula and the popular product Airborne. Taken in it's raw herbal form or as an alcohol tincture it reaches it's most potent concentration. This formula is good for early onset colds when your throat is raw and your body is achey. Once phlegm is present as nasal congestion or post nasal drip the cold has penetrated too deeply and yin qiao san is no longer the best formula. Cupping: Yes that popular therapy that Michael Phelps exposed to the world for it ability to relieve muscle pain and tension is also used to strengthen the immune system and defend against colds and flus. Acupuncture: Acupuncture has specific points that are used to increase white blood cell count, open the lungs, and calm the nervous system, all components of a healthy immune system. If you do get sick, don't give up hope. There are many acupuncture techniques and Chinese herbal formulas designed to counteract colds and flus and shorten the duration and intensity of these illnesses. Call us and we will be happy to get you in and on the road to recovery. Plantar fasciitis is a common complaint characterized by pain in the heel and the bottom surface of the foot. The pain is typically worse in the morning and after periods of inactivity. 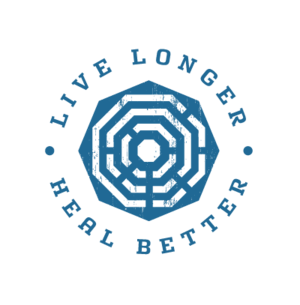 A Koren study published in the journal Acupuncture in Medicine shows that ear acupuncture can help people lose weight. In the study, researchers compared the efficacy of different acupuncture treatments in helping obese patients lose weight. The researchers compared the standard Korean five point treatment with a single acupuncture point. A control group was given a “sham” treatment. The study followed 91 obese people – 16 men and 75 women – all of the participants had a body mass index equal to or greater than 23. None of the participants had received any other weight control treatments in the last 6 months. The participants were randomly divided into three groups, one group to receive the five point acupuncture treatment, another the one point acupuncture treatment and the third group, the control “sham” treatment. The first group had imbedded needles positioned at the ear acupuncture sites; Shen-men, stomach, spleen, hunger, and endocrine. The needles were left for one week. The following week, new needles would be inserted into the same acupuncture points on the other ear, with the process being repeated over the course of the 8 week trial. The second group of participants followed the same treatment process but only had one needle inserted at the hunger point. The sham group believed they were receiving the five point treatment. The needles were inserted and then were removed immediately after insertion. Tape was placed over the ear. All three groups were put onto a restricted diet and asked to not increase their exercise or activity levels. Before after and during the trial BMIs, waist circumference, body fat mass, percentage body fat and blood pressure were measured. For the participants that completed the trial the results were significant. The BMI of the five point treatment group showed a 6.1% reduction, the one point group a 5.7% reduction while the sham group showed no reduction at all. The research suggests that ear acupuncture protocols for weight loss may provide a great benefit to patients seeking to lose abdominal fat.